Compared to nearly every other major furnishing that makes its way into homes, a rug is usually approached as an afterthought. Instead of the care that goes into picking a couch or a dining set, these textiles are usually chosen solely for durability and price, and not for how they'll set the tone for a room. 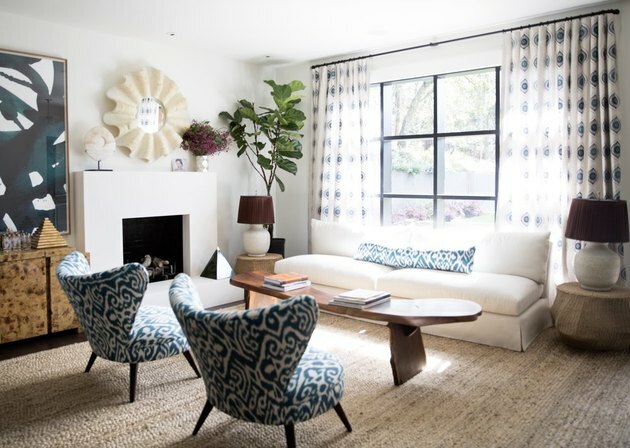 Perhaps it's because affordable rugs have a history of appearing in bland neutrals or fussy traditional patterns that seem to take away from a cohesive design. But those days are gone. 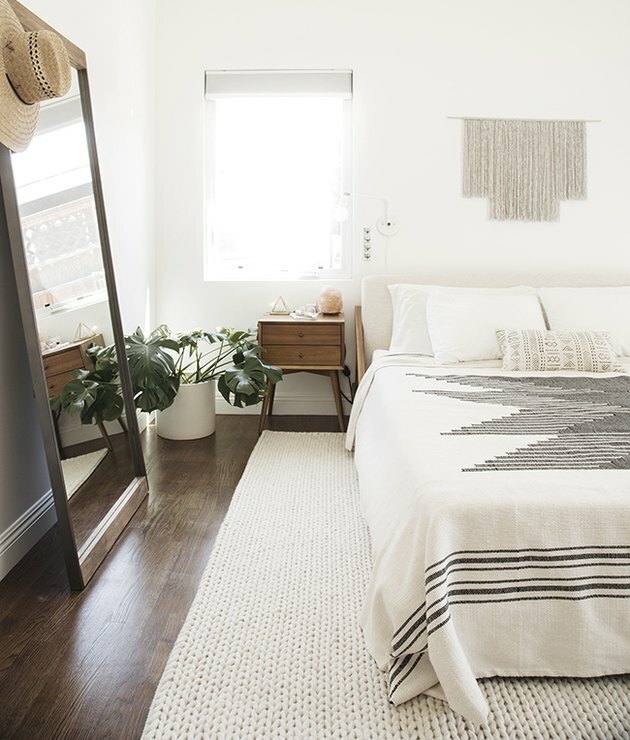 Designers and decor bloggers have proven that rugs are an imperative decision, and retailers followed suit by finally offering a variety that makes for an Instagram-worthy space. Keep these five tips in mind when shopping for this shaggy statement piece yourself. 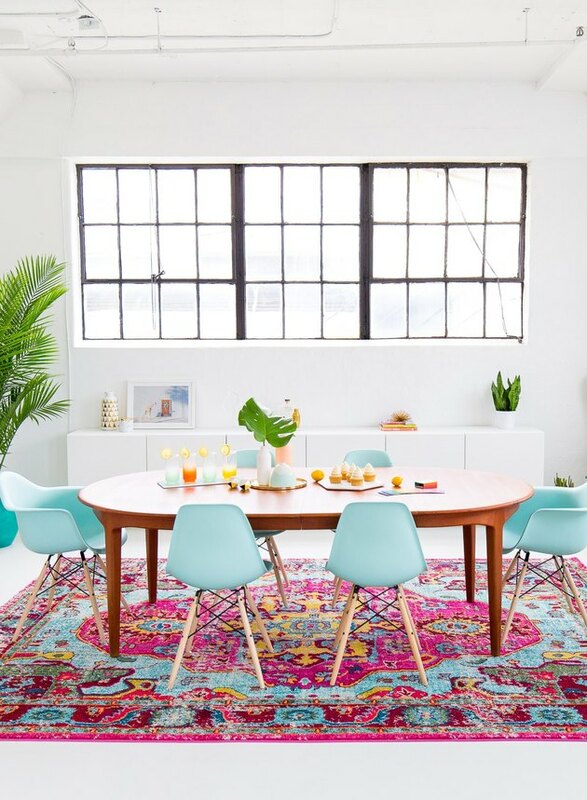 Instead of painting walls to add color, roll out a rug in saturated hues — Sugar & Cloth does this perfectly in this modern dining room. The bits of blue in the pattern pick up the color of the chairs, while introducing the complementary shades of bright pink and orange. Whether the color of your floors contrasts with your current decor, or if they're in less-than-perfect shape, a room-sized rug in a neutral hue is the quickest fix. A woven material, like the one featured here by Ana Burke Interiors, looks luxurious but can be surprisingly affordable. Want to put a twist on carpeting or a large neutral rug? Then layer on an accent rug in a bold pattern. The geometric rug used in this room by Katie Hackworth for H2 Design + Build picks up the calm shades of the furniture and the colors in the accessories. 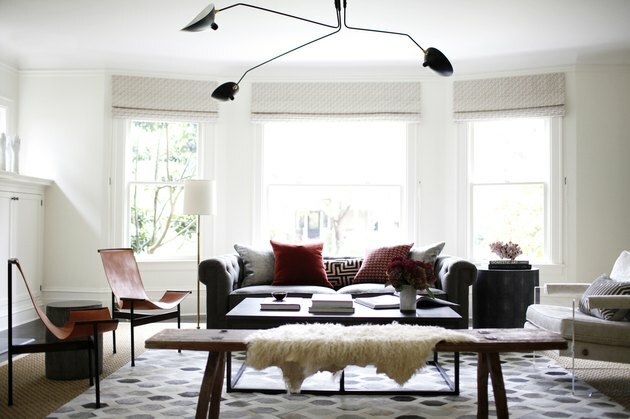 Though it sounds counterintuitive, a light rug can be a bold statement. 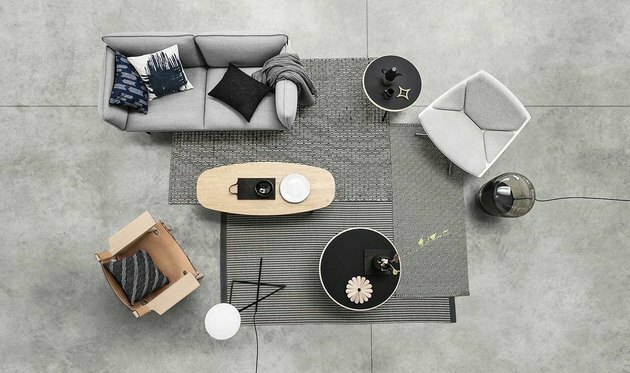 It's all about contrast, like the chunky-knit rug spotted at Almost Makes Perfect. The dimensional texture and bright color stands out against the smooth wood flooring underneath. The idea to mix and match patterned rugs, as spotted in the portfolio of stylist Sania Pell, is perfect for those with open floor plans. Here, similar lightweight rugs in the same black-and-white color scheme have a harmonious finish.